A forthright exposé of accelerated attempts to remove evidences of Christian heritage in places commemorating national history. 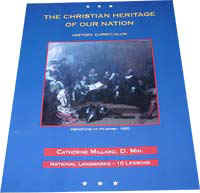 "Catherine Millard points out the frustration that so many Americans feel ... to reclaim our beloved nation from the destructive forces of humanism, secularism, atheism, and false religions, we must first retrieve the true history from those who have almost hidden it beneath an avalanche of lies, distortions, and misinterpretations." 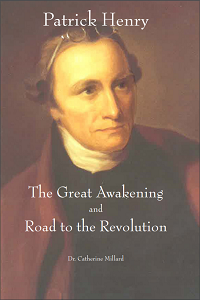 "If you are an American - or a friend of America - and care deeply about the spiritual foundation of this glorious land, The Rewriting of America's History may well be one of the most significant books you'll ever read. But be forewarned. You may feel robbed. But most of all, you'll pray. And when you do, you'll be taking the first and best step to help right this tragic wrong that most Americans hardly know is happening." Click here for order form! A history book that you can trust. Taken from original documents, the text and illustrations have been thoroughly researched to ensure accuracy. 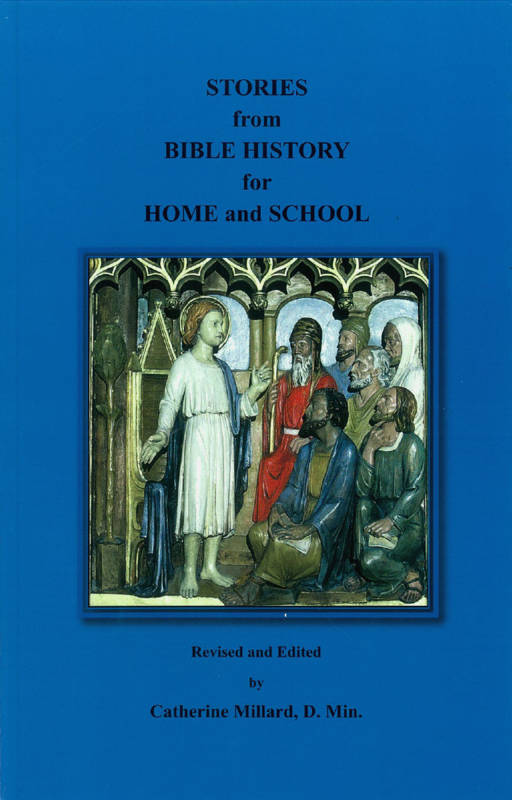 While particularly good for home schools and Christian schools, this valuable resource is also excellent for parents of public school children. With so many history books having purposely removed any reference to God and Christianity, make sure you are teaching your children the truth! The great Christian landmarks of America's history. The Biblical principles upon which our nation was founded. The true meaning of the First Amendment Clause - Separation of Church and (from interference by) the State. This is a unique history book. It is a "must" for each and every admirer of America's authentic history. 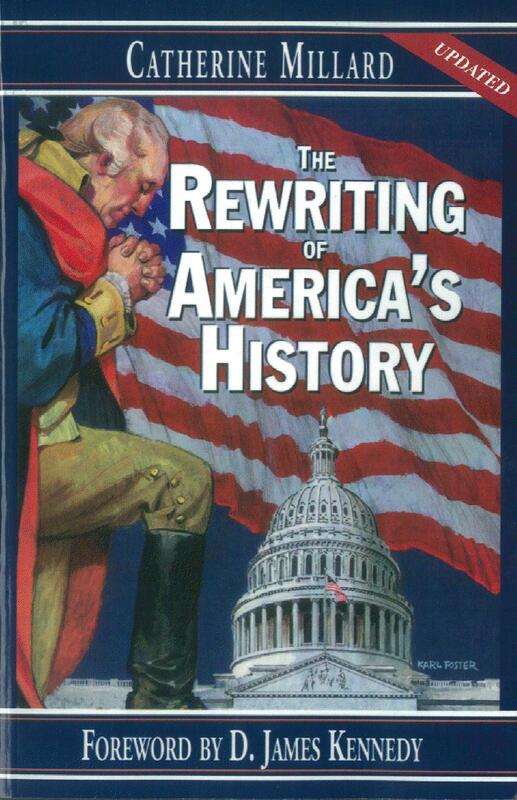 Current history books have purposely removed any mention of the Christian character traits and godliness of America's greatest founding fathers, leaders, statesmen, inventors and heroes. This book covers Discovery, Colonial, Revolutionary War and Civil War periods. Make sure that you know the truth! 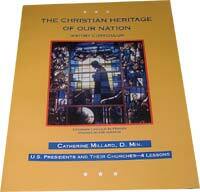 Great American Statesmen and Heroes is the fourth book in Catherine Millard's insightful series on America's Christian history. This carefully researched and documented text is a valuable resource for Christian school teachers, homeschoolers and concerned Christians everywhere. Included are texts from original writings, documents, quotations, an extensive bibliography and more. Illustrated. 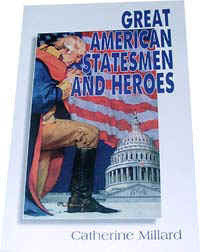 Covers the lives of Christopher Columbus, Pocahontas, William Bradford, Roger Williams, William Penn, Samuel Adams, George Washington, Nathan Hale, John Adams, Thomas Jefferson, James Madison, Benjamin Franklin, Patrick Henry, Caesar Rodney, Noah Webster, Daniel Webster, and many others - 39 in all. The Biblical principles undergirding our unique Republic under God. 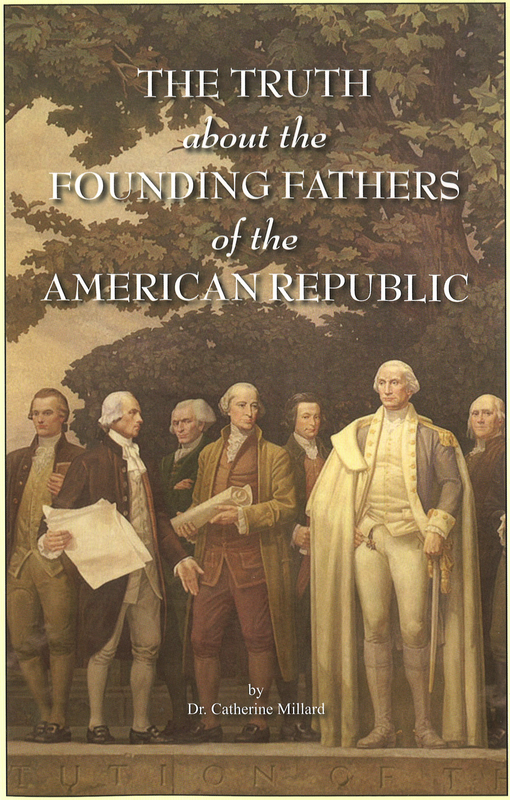 The Christian character traits and godliness of America's greatest founders, leaders, statesmen, inventors, and heroes having been purposefully removed from most U.S. history books - make sure that you teach your students the truth! Washington's "110 Rules of Civility and Decent Behaviour in Company and Conversation"
Excellent for use by Christian schools, homeschools and parents. 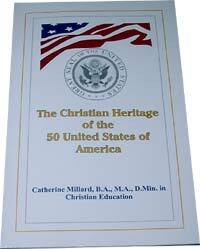 The original words and deeds of great Christian presidents of the U.S. 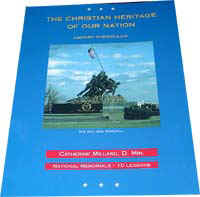 This book comprises the Christian heritage of the 50 United States of America inherent in their State Constitutions, seals, insignias, Bibles, mottos, songs, hymns, coats of arms, flags, historical records, anecdotes, and memorabilia. In addition, it includes numerous States' greatest heroes and heroines chosen to represent them in the U.S. Capitol's National Hall of Fame. Many of these distinguished persons were pastors, evangelists and missionaries. Who wrote the Pledge of Allegiance to our flag? From what famous sermon does "Under God" originate? That all 50 State Constitutions glorify God? Which preacher of the Gospel had "In God We Trust" engraved on our U.S. currency? Which State motto, chosen by a sixth-grade student, is from Matthew 19:26? Which one of the original 13 States based its motto on Psalm 80? That the Mississippi State Constitution prohibits the removal of the Holy Bible from her public schools? Whose Hall of Fame Hero is called "The Fighting Parson?" You'll find these and many other interesting facts about your 50 United States in this unique volume. You'll be excited as you discover the authentic identity of each State, expressed in the original sources of America's history. 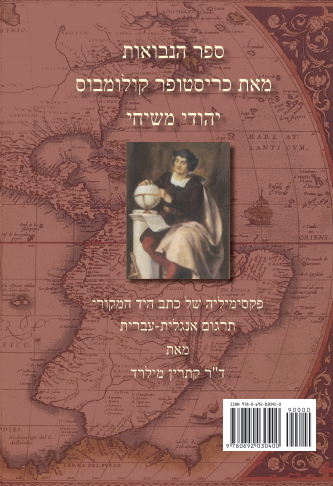 This book contains reproductions of ancient maps, over a hundred magnificent illustrations and archeological discoveries of recent years, from original historic research accomplished both in Israel and at the Library of Congress of the United States. 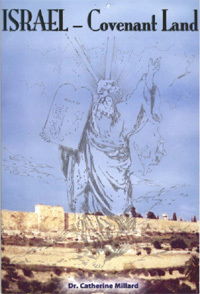 The author traces God's covenant with Israel, giving credence to the permanency of "The Ancient Home of the People of the Bible." The book contains reproductions of over twenty rare and ancient maps, over a hundred magnificent illustrations, and recent archeological discoveries. 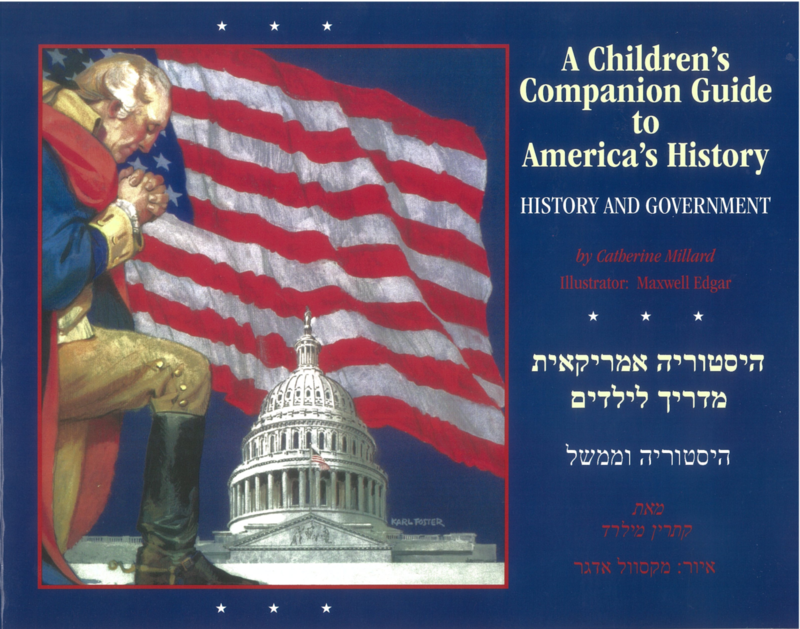 The original historic research was accomplished both on site in Israel, and at the Library of Congress of the United States. 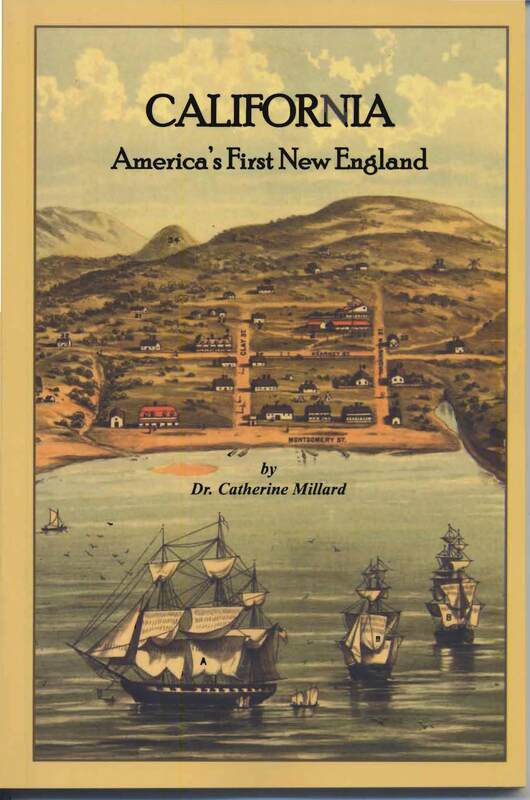 "The first New England did not begin at Jamestown or at Plymouth Rock, nor did it border on the Atlantic Ocean. It is claimed for Alta California and the North Pacific coast...It was on a June day in 1579...that Francis Drake sailed the Golden Hinde into "a conuenient and fit harborough" long believed to be what is known as Drake's Bay, some thirty miles north of the Golden Gate. There he took formal possession of the land for Queen Elizabeth, naming it Nova (New) Albion. - Rockwell D. Hunt, Ph.D. - "dean of California historians." Who were the "Four Missionary Founders" laying the foundations for the 31st State to join the Union, and establishing the Christian College of California, Berkeley, alias the University of California? They came on the California, first steamship to enter the Golden Gate, in 1849. This book proves, from California's original hidden history, how "God's rush" to the Pacific Coast preceded the official news of the discovery of gold. "70 STATE PARKS TO SHUT. HISTORICAL CAPITAL MANSIONS FACE CLOSURE IN 2012!" So read front page news headlines in 2011, shocking Americans nationwide. The legacy and enduring impact of these valuable historic landmarks, and their immeasurable contribution to the social, cultural and educational development of the entire country is at stake. To dismantle and erase these historic landmarks, some of which contain evidence of America's rich Christian heritage and history, would be akin to removing the nation's unique significance and contributions form her own people, as well as effacing her identity in the eyes of the world. This book captures in depth, the historic treasure-trove at stake. Cost: $16.00 + $5.00 shipping and handling. Is it true that George Washington and James Madison were Freemasons? Did Thomas Jefferson write his own bible? Were Banjamin Franklin and John Adams deists? Did the American founding fathers - signers of the Declaration of Independence and United States Constitution - base their philosophy and beliefs upon the European "Enlightenment," and deism? The general media, including modern-day textbook versions, and foremost national historic sites' exhibits, have portrayed the founders of the American Republic in a revisionist, derogatory manner, alien to their true identity. George Washington wrote that he had "never presided over any (Freemasonic) Lodge in the United States," and that he had been in one, "only once or twice in thirty years." James Madison stated, "I never was a Mason, and on one, perhaps, could be more a stranger to the principles, rites and fruits of the Institution." Thomas Jefferson did not "write his own bible" - his family Bible (King James 1611 Authorized), being his own personal Bible, as shown in this book. Benjamin Franklin, a member of Christ Church, Philadelphia, founded the College of Philadelphia, choosing as his first Provost a Minister of the Gospel. John Adams drafted the 1780 Constitution of Massachusetts, which authorizes the legislature "to make provision for the support and maintenance of public Protestant teachers of piety, religion and morality." In 1775, Benjamin Franklin, with Benjamin Rush, M.D., founded the first Anti-Slavery Society, becoming its two early presidents. Benjamin Rush wrote "A Defense of the Use of the Bible in Schools," in 1791. The Founding fathes of the American Republic based their philosophy and beliefs upon Scripture, which precludes the atheistic "Enlightenment" and deism. Cost: $19.95 + $5.00 shipping and handling. Columbus' original Book of Prophecies manuscript, which lay practically unknown and obscure for five centuries, proves that his primary allegiance was to God and not to gold, as some modern-day history books have indicated. His vision and burden remained the same - "to bring the gospel to unknown coastlands." Furthermore, he was a Messianic Jew. His son, Ferdinand Columbus discloses his father's hidden identity in his book on the life and actions of Admiral Cristobal Colon, and his discovery of the New World. Columbus 'Book of Prophecies' Scripture quotations being from the Latin Bible, the oldest Old and New Testament translations into English (1609 and 1582, respectively), housed in the Rare Book Collection of the Library of Congress, were utilized. 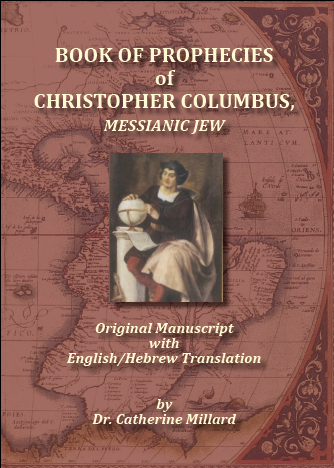 Columbus' inclusion of a letter from Rabbi Samuel of Israel (a Messianic Jew), to Rabbi Isaac of the Synagogue of Morocco (later to become a Messianic Jew), sheds further light on the Jewish roots of Cristobal Colon. 204 pages. Original manuscript. English/Hebrew translations. Sir Isaac Newton (1642-1727) was a genius in the realm of Science. His discoveries of the System of the Universe; the Law of Gravity; Mathematical Principles of Natural Philosophy; a New Calculus; the Parabolic Curve; Optics – A Treatise of Light and the Reflecting Telescope, among many others, revolutionized the world. His genius extended to an understanding of the force exercised by the sun and the moon, causing Tides. Newton’s amazing discoveries led him to conclude that there was “a very First Cause;” “A Supernatural Power;” “A Creator;” “A Being Incorporeal, Living, Intelligent, Omnipresent” who created the Universe, men and women; as well as animals in their species, maintaining his creation by “Divine Power.” His Observations on the Apocalypse of St. John the Evangelist in relation to Daniel’s prophecies of the Messiah, and the End Times are insightful and profound. A scholar of the Bible, the last ten years of Newton’s life were spent studying the Scriptures. His Theological Notebook discloses an adherence to, and acknowledgment of God the Father, God the Son and God the Holy Spirit. 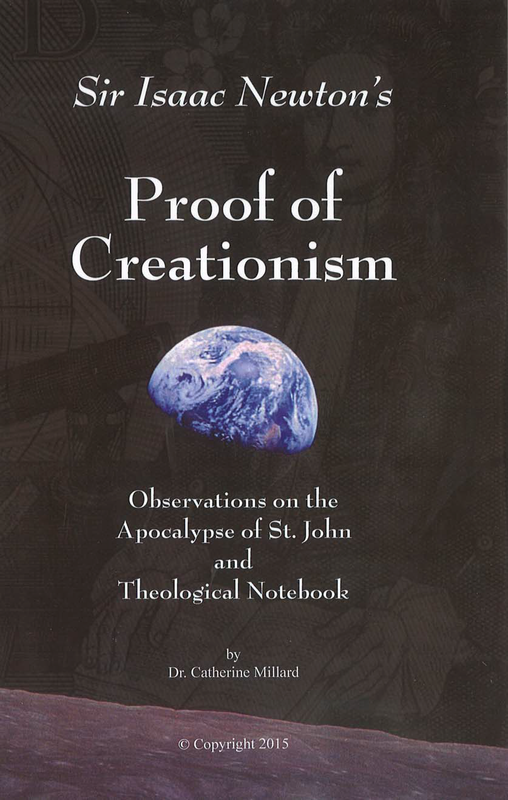 Sir Isaac Newton’s Proof of Creationism reveals that Science and the Bible are totally compatible. Great Master paintings; illustrations, maps; "Great Awakening"